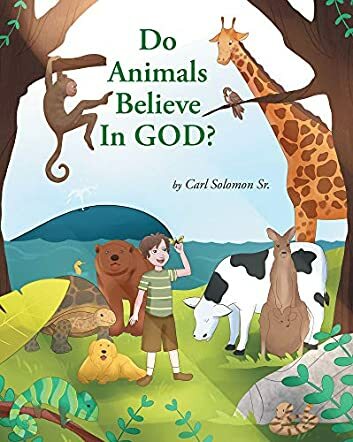 Contact Author - Carl Solomon Sr.
Daniel wants to know if all creatures on earth believe in God just like he does in the storybook Do Animals Believe in God? by Carl Solomon Sr. He decides to find out and the first living creature he meets is the Butterfly. After that he meets the Tortoise, Sparrow, Mr. Whale, Giraffe, Mr. Monkey, Mr. Bear, Sea Horse, Mrs. Cow, Mr. Dog, Mrs. Kangaroo, Snake, Mr. Chameleon, and finally he goes to his parents with the same question: ‘Do you believe in God?’ Everyone has an answer to his question. Let us read the book to discover what these animals tell Daniel about God. The topic is fresh and unique and I like the way the author tackles it. I am sure a lot of children must think like Daniel and be wondering whether animals believe in God. The story reiterates the presence of God in everybody’s lives, be it humans or animals, and this book is a good way to instill faith in children. The colorful illustrations make the concept tangible and real to readers. It is a good storybook to read aloud to children at home and in classrooms. Tutors and educators can use it for interactive sessions in classrooms and Bible classes to help them understand how God’s works are present in all living creatures. Books like this are good to introduce to children at a young age to understand the power and presence of God in all living creatures in an interesting way and without sounding too preachy.